While driving I started to notice the faintest shimmy in the drivers side wing / side mirror on my DB9. I’d only really notice it in my peripheral vision, just some hint that something was shaking occasionally. It’s one of those things you forget quickly as soon as you don’t see it happening. After a few occurrences I finally decided to check the mirror to see if it was loose. Sure enough, you could wiggle the mirror body up and down. Not the glass mirror itself, but the actual main structure of the mirror assembly. I compared it against the opposite side mirror (mounted solid as a rock) and it was clear that my drivers side was loose. The ‘slop’ was in the joint between the portion that attaches to the door and where it hinges to the mirror body assembly. It was NOT where the mirror attaches to the door. My car is a 2005 Coupe, and has the early style mirrors (fitted up until about VIN 05151 sometime in MY09). They are fixed – they don’t fold in (either manually or electrically). 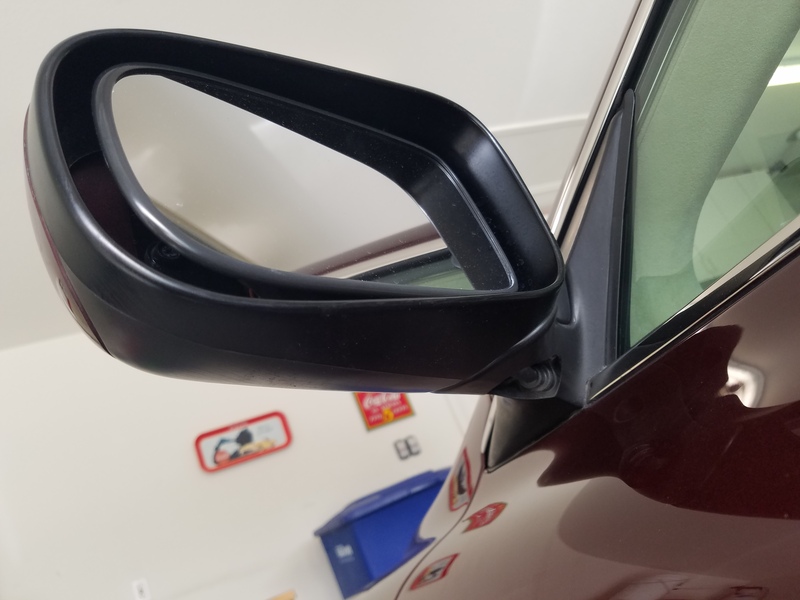 Even with the early cars, there are two generations of the mirrors that look identical externally, but differed substantially at the door mount (hidden within the workings). The 2nd generation can be retrofitted to replace the 1st generation, but alas I have the 1st gen. I believe later model cars have mirrors of an updated ‘sleeker’ design, complete with a feature to fold in automatically when parked (which was an option on the early gen 1 and 2 styles). I searched the Official Aston Martin Workshop Manual for some details on how to tighten up this joint – no luck – they only show how to mount the entire mirror assembly to the door. Since the mirror is a complete assembly, it’s not something they bothered to document. I posted a question out in the AMOC DB9 forum, but got completely dead air (probably because the new AMOC website design was just released and the Forums are NOT very easy to use/browse anymore and I think its put off the long time members – bummer). I decided to just plow on and see what I could figure out. In fact it’s pretty simple to tighten up the joint, and if you have the same issue you can cure it in just a few minutes. I encourage you to check out the video below. You don’t need many at all, but you will need to fashion a very simple special tool and I will show you how. We need to fashion a small hook tool to pop open the access cover on the bottom of the mirror. There is very limited space to get a screw driver into the slot, and this tool is simple to make. 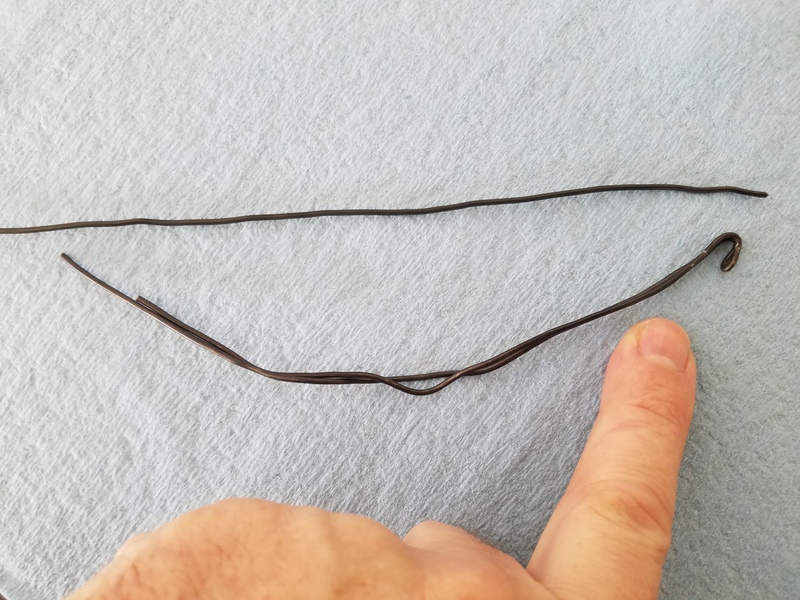 Fold the 12″ piece of wire over and use your pliers to squeeze it together to make a tight fold at one end. This smooth end will be better than putting a sharp end anywhere near our precious paint, and folding it over doubles the strength. Use the pliers again and roll the end over to make a tapered hook. See the photos and check out the video. This step really only takes about 1 minute. The whole process will take you less than 5 minutes. Use the blue painters tape and liberally cover the painted door area beneath the mirror. Anywhere near where you will have the tools. This was about a 6″ square area for me. Use your special hook tool and carefully insert the hooked end into the small opening in the plastic cover under the hinged area on the mirror. Tug the plastic cover down gently to release it from the mirror body. This came away easily on my car and just popped out. 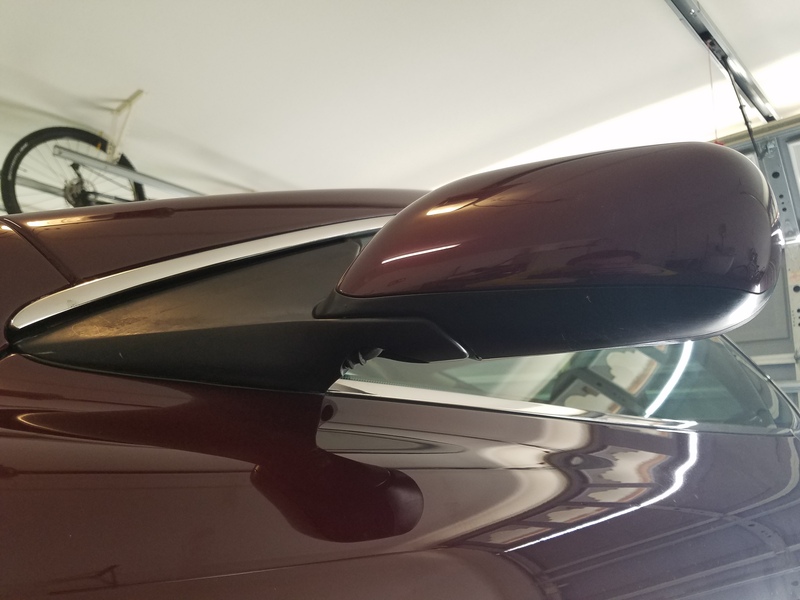 You will now be able to look up and see three T20 torx screws that hold the mirror body to the bracket mounted to the door. 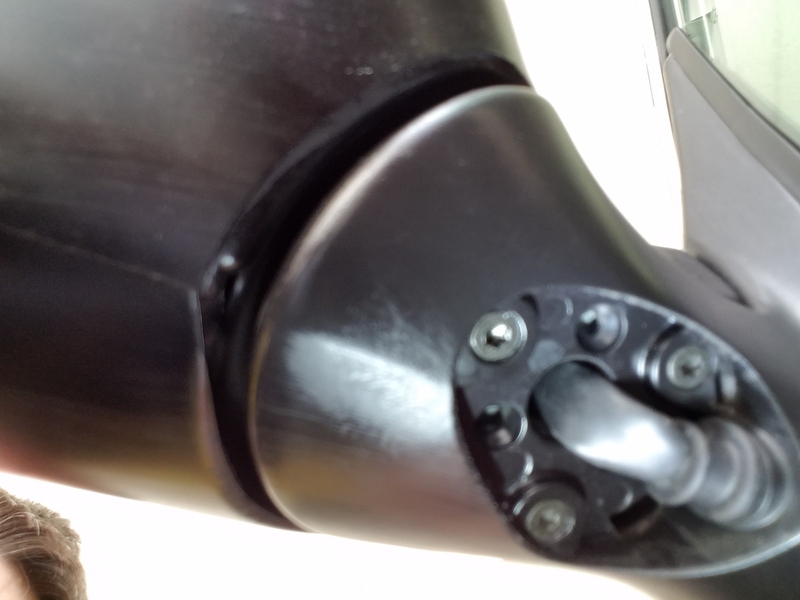 Tighten the three screws using your T20 Torx bit and wrench. I just made them ‘Snug’. The clearance to the most inward screw is very small, about 1″, and I couldn’t get my wrench assembly on it. I was fortunate that it was the two outermost screws that had worked their way loose. If the third screw needed tightened I would have had to get a T20 Torx Allen Key (which should have worked fine). You can get a set off Amazon.com for about $8 USD. Give the mirror a shake and see if the slop is now gone. Carefully replace the plastic cover. There is an alignment tab on one end that goes in first, then rotate the other side up into place until it snaps into place. Remove your blue painters tape. That’s it! Pretty simple and inexpensive. Here is a short video on the process I followed. Hi Steve, great info as always. I’ve noticed the actual mirror glass (driver’s side) on my ’07 DB9 seems to be slightly loose. Any idea on how to access it or tighten it up? Hi Steve, great blog, and great post, as usual! My two pence suggestion: instead of wire hook, look at Mercedes A 140 589 02 33 00 tool. 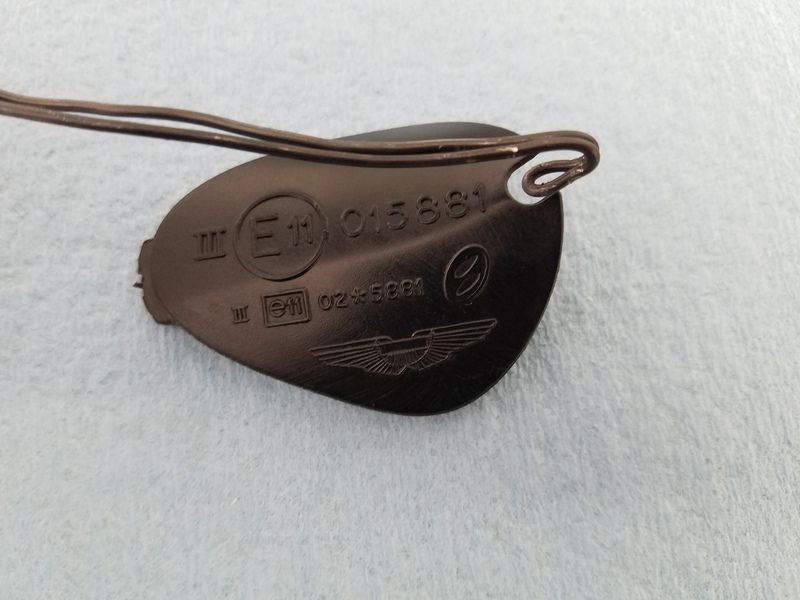 Very strong, I pay it a couple of euro many year ago and have tons of use in the garage. My best deal ever! That sure likes it would work great for this instance. I didn’t have one so opted to just fashion one out of what I had on hand. Thanks for the tip! Steve, does your DB have the power folding mirrors? I’ve noticed a wiggle at highway speeds on the driver side mirror, but I have the power folding mirrors. By the way, I have DB9 783 built in October 2004. It’s a 2005 with just over 12,500 miles. Thanks Steve, I’ll look into it. Aston783.com will not become a reality, no way I could compete with this site.